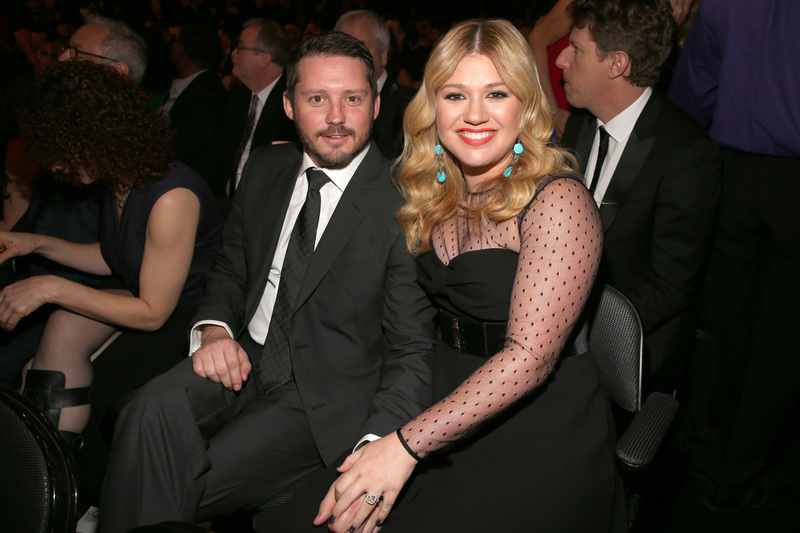 Big news: Apparently, Kelly Clarkson and fiancé Brandon Blackstock have obtained a marriage license, meaning that their wedding is likely scheduled to happen any day now — for certain in the next month. According to Us Weekly, they have confirmation that Clarkson and Blackstock appeared in person in Tennessee to obtain a marriage license. As this is valid for 30 days, it pretty much means that their wedding is imminent — at some point between now and mid-November. The couple was reportedly originally supposed to get married in a large ceremony at the end of this month, but those plans were scrapped this past summer when busy schedules didn't permit for much planning time. "I'm so over it... it's so overwhelming," Clarkson told Ryan Seacrest this past summer of the wedding plans. "We're just doing a lot. Touring, and the wedding, and the Christmas album... so I'm over the wedding part." A few days later, Clarkson tweeted that she and Blackstock planned to elope, because they want a small ceremony: "FYI ....Brandon & I are getting married & no I am not pregnant. We are eloping for one reason only. We both want an intimate ceremony." Fair enough. If Blake Lively was able to keep her wedding to Ryan Reynolds a secret, Kelly Clarkson probably can keep her wedding a secret, too. Clarkson and Blackstock have been engaged since Dec. 2012, and have been dating since Feb. 2012. Fun fact, he's the step-son of Reba McEntire. Congrats, guys!